Guide price of £210,000-£220,000*.Offered for sale is this TWO BEDROOM detached bungalow situated in the popular IP1 area of Ipswich. This property boasts off road parking, an en suite shower room aswell as a kitchen/breakfast room. Viewings are highly reccomended to avoid disapointment. The property is situated on London Road being close to the town centre with local schools, shops, supermarkets and bus services nearby as well as Ipswich Marina with its bars and restaurants. The town centre offers a variety of amenities including the Buttermarket and Sailmakers shopping centres, as well as Ipswich mainline station for access to London Liverpool Street. The A12/A14 trunk road is also close by for Bury St Edmunds, Colchester and Felixstowe. Door to the front, double glazing, boiler cupboard, radiator and loft access. Double glazed french doors to the rear, entrance to the kitchen, radiator. Fitted kitchen, integrated oven, space for fridge/freezer, front and side facing double glazed windows, spotlights, breakfast bar, wall and base cupboards, splashback tiling,plumbing for washing machine and dishwasher. Double glazed window, radiator, laminate flooring, door to ensuite. 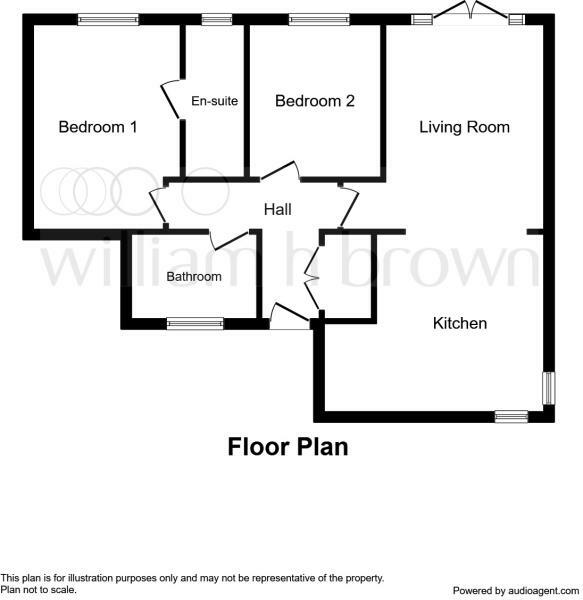 Double glazed window, wash hand basin, shower cubicle, extractor fan, towel rails, tiled splash back, laminate flooring, low WC. Double glazed window, radiator, laminate flooring. Private driveway with shingle leading up to the bungalow with parking to comfortably accomodate four cars. Patio area, lawn, pond, shed and side access on both sides. Disclaimer - Property reference IPS113275. The information displayed about this property comprises a property advertisement. Rightmove.co.uk makes no warranty as to the accuracy or completeness of the advertisement or any linked or associated information, and Rightmove has no control over the content. This property advertisement does not constitute property particulars. The information is provided and maintained by William H. Brown, Ipswich. Please contact the selling agent or developer directly to obtain any information which may be available under the terms of The Energy Performance of Buildings (Certificates and Inspections) (England and Wales) Regulations 2007 or the Home Report if in relation to a residential property in Scotland.